In 1933 the pariah of crime filled the air by getting people drunk. But fear not, folks. Those funny looking Canadian Mounties were hot on their trail. Primed and ready to shift into Sherlock Holmes mode, yet only if they could figure out how to take the caps of the bottles. Honestly. Just ask the Writer / Artist: Richard Isanove, or the Publisher: Marvel Comics, in February, 2014. To QUOTE Dudley Do-Right: 'Stop, Snidely Whiplash, in the name of the law'. 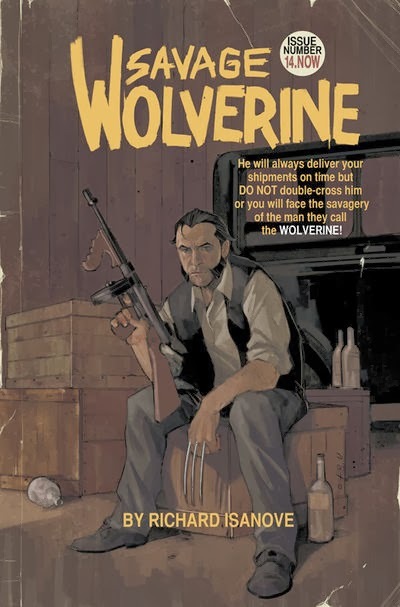 In this adventure we get see to Wolverine as a wounded bootlegger during the time of prohibition. His bootlegger friend has to take care of his small family because his wife is dying of TB. When suddenly, his friend is murdered by a pack of goons, and one of his daughters is kidnapped in the process. Don't worry, though. Once he's back on his feet again, Wolverine decides to go and get her. There are many good things about this issue I don't really know where to start. It’s like Richard Isanove knows exactly what he’s doing on this book. Granted, some of the characters faces did come across a little bit funny on the page. Yet overall his artwork is consistently great throughout, and isn't that bad for the end product. Also, the story-line seems to be fully fleshed out and paced at a reasonable level. And left the conclusion at a point where us readers want to see what happens next. I suppose the only bad thing about this comic are those ads scattered throughout it. Marvel might want to tone down on those, methinks. I'd say “Long Cool Woman in a Black Dress” by The Hollies is a great match for this issue, even if I have a feeling this may have been a better choice for the next one. From my point of view this tale has the feeling of being outside in the dead of winter in the middle of woods all by yourself. When all of a sudden you're propelled into the warmth of a fire and a friendly face. Then again, that's all taken away when you finally come to realize you're actually in the real-world once more. Damn! The story and art are great and make me really hope the next issue is just as great. 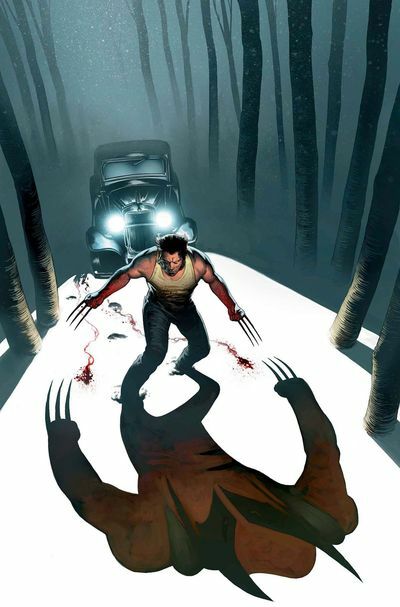 Hopefully, Wolverine will be able to save the day in some sort of film noir type way. Right, folks? Fingers crossed. *** This review was brought to you by the one and only, Jimmy Coffey.